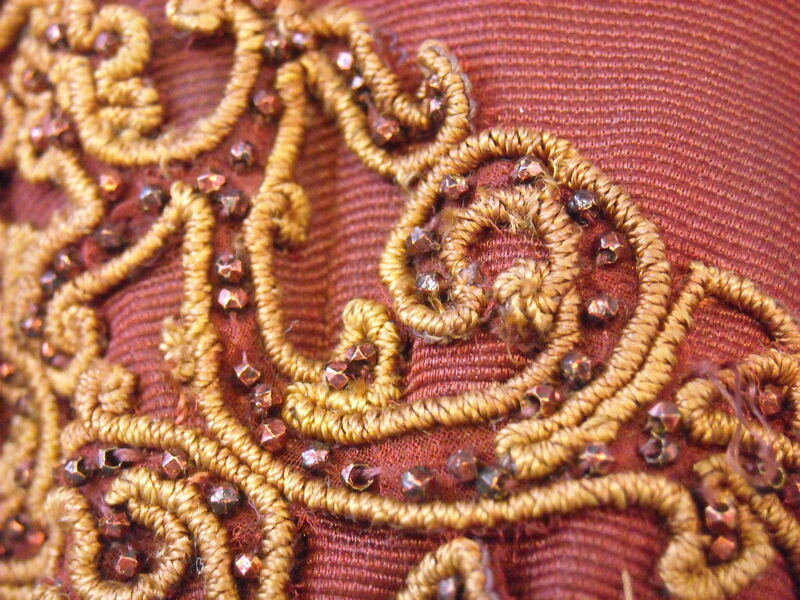 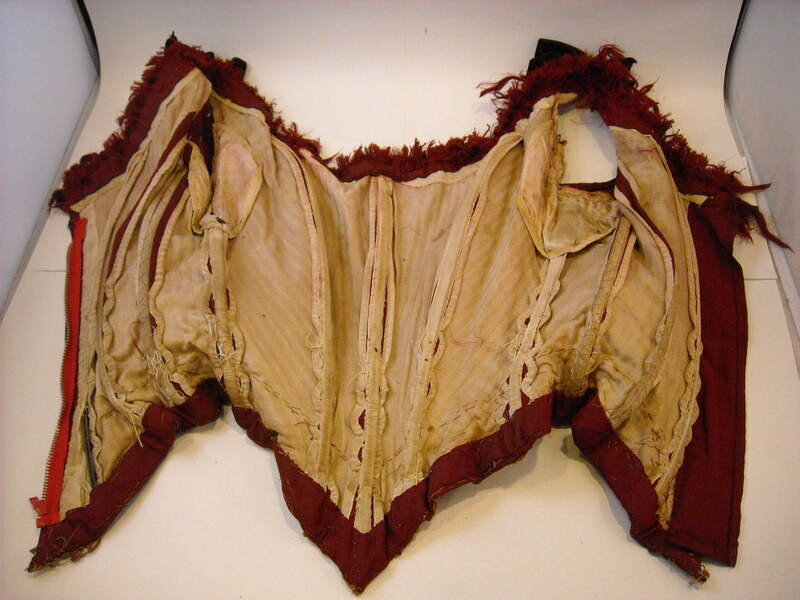 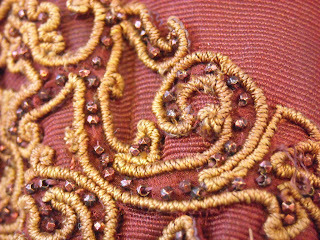 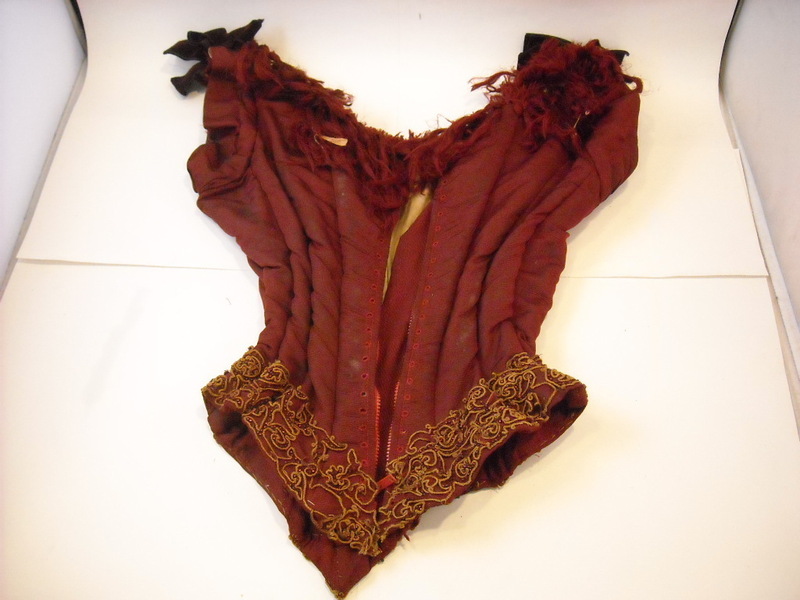 This vintage corset top is a sleeveless, thick red -burgundy color with beaded design at bottom. 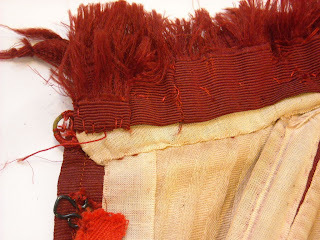 Has long fringe, and is soft at top. Velvet bows at shoulders. 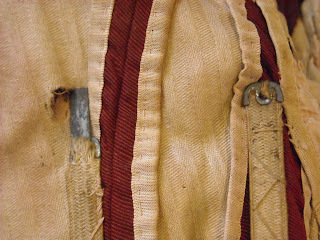 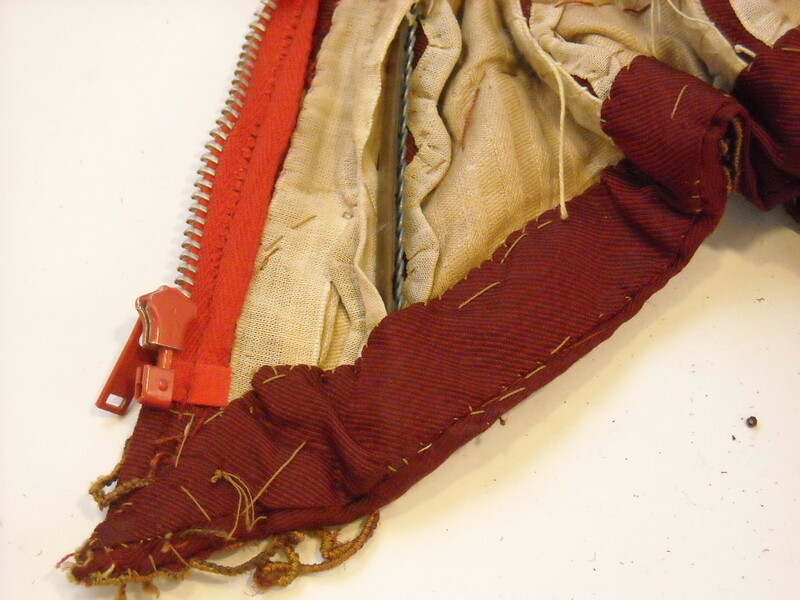 Zipper and hook back closure. 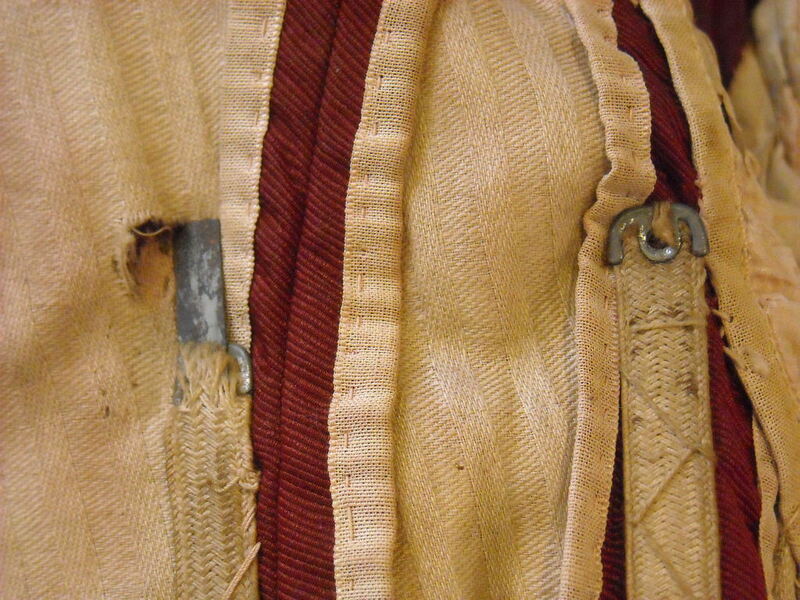 Metal structural ribs all around. 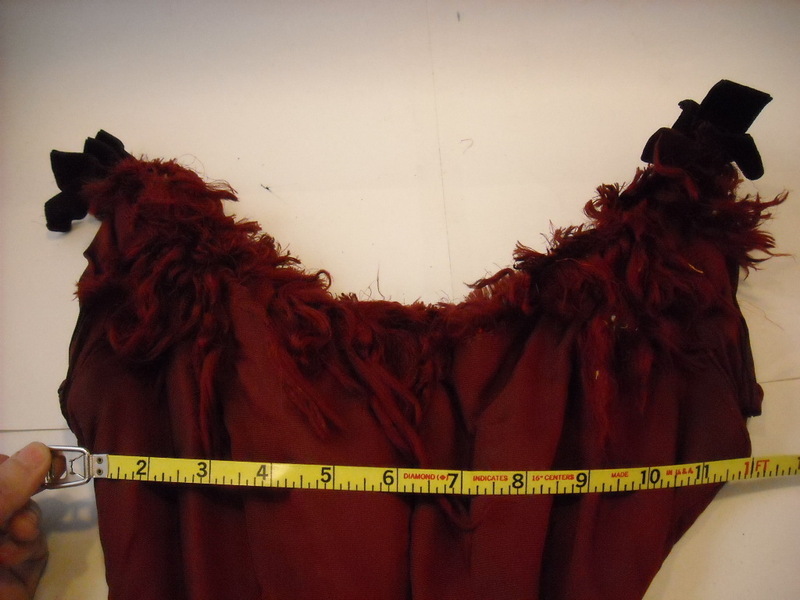 Measures 32" around the bust, 20" around the waist and is 20" long.